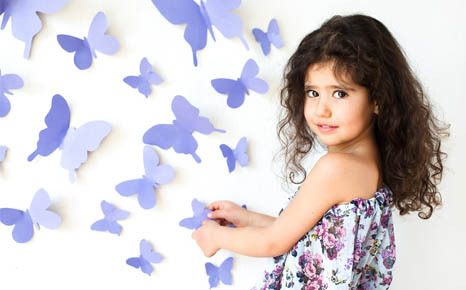 Decorate any wall in your home with these pretty butterflies. Simply print the templates onto paper or cardboard of your choice, cut them out and stick them up using Prestik. Add some sparkle to your butterflies using Rainbow Glitter Glue.